The ACE Quiz ("ACE" stands for Adverse Childhood Experiences) has become a standardized way for psychologists and those treating trauma to assess some of the major factors that might contribute to childhood developmental trauma. You can take the ACE quiz here. The simple 10-question quiz gives you score on a scale of 0 to 10, with points being assigned for exposure to a number of commonly recognized sources of childhood trauma, from physical, emotional, or sexual abuse to physical or emotional neglect to various forms of household dysfunction such as parental divorce or having a parent or family member who is mentally ill, incarcerated, or addicted. If you score high on the ACE quiz, it means you had numerous factors in your upbringing that might contribute to childhood developmental trauma. In turn, childhood developmental trauma is known to contribute to other problems later in life, including increased risks for stress and depression, substance abuse, heart disease, and more. However, it's important to understand what your score on the ACE quiz means and what it doesn't. If you have a high score, it just means that a lot of those commonly recognized adverse childhood experiences were present in your early life. It doesn't take into account other factors that might have helped you build resilience and overcome these adverse childhood conditions, such as the love and support you received from a certain family member or outside figure. Some people with high ACE scores show few signs of developmental trauma, while others with low ACE scores go on to develop major depression, addiction, and so forth. So your score is not, strictly speaking, predictive of any particular outcome as an adult. By contrast, the opposite may also be true. The ACE quiz looks at commonly recognized adverse conditions for developmental trauma, but some possibly traumatizing adverse conditions are glaringly absent. When I took the ACE quiz, I was at first surprised at how high my number was. The quiz helped me to frame and understand some of the root causes of my own childhood developmental trauma. But over time, I came to realize there were other traumatic adversities in my childhood, too, that the quiz didn't even touch upon, such as sexual orientation and religious upbringing. What about the fact that I was and am gay, and that I struggled throughout childhood and adolescence to suppress the growing evidence of my own sexual orientation in a homophobic culture that harshly forbade me from being who I was? There's no checkbox on the ACE quiz for internalized homophobia. There should be, because it's a widespread and very damaging form of developmental trauma. What about the fearful hellfire-and-brimstone sermons I was subjected to as a child in the Southern Baptist Church in Oklahoma, the intense atmosphere of homophobia in that church, and the religious delusions and existential terror I suffered as a result of my indoctrination in that religious culture? In retrospect, I consider what I was subjected to by the church to be a form of child abuse. But again, there's no checkbox on the ACE quiz for religious manipulation and brainwashing. And there should be. What about complex factors like race and socioeconomic status, which can feed into so many other adverse childhood experiences? There are generational traumas, and traumas that you may be born into because the color of your skin isn't the one that's privileged by the society you live in. No ACE checkboxes for those either. For now, the ACE quiz is a stepping stone that can help you begin to get a handle on some of the Big 10, as it were. Knowing where you come from in relation to these 10 factors can be helpful in assessing the roots of your own childhood developmental trauma. But you also need to put your ACE quiz results in perspective, and look at the larger picture of things the quiz never touches upon. The causes and effects of childhood developmental trauma are highly complex, and no standardized test can really give you a complete or accurate reading on the origins or effects of your own childhood trauma. We need better ways of assessing a wider variety of adverse childhood experiences, as well as traumatic social conditions that extend both inward, deep into our hearts and psyches, and outward, beyond the walls of the houses we grew up in. "I took my first yoga class when I was 64, so I came late to this practice. I have been a psychotherapist for 40 years, always interested in finding new approaches to life's stresses and struggles. However, I only signed up for my first yoga class after my ski teacher said it would help with my balance. Coincidentally, a new studio opened a mile from my house. "What I soon discovered was that yoga affected and changed me far more than physically. Its emotional and spiritual components helped me to cope with my own personal challenges, and provided an approach to living that was positive, inspiring, and purposeful, especially as I get older. If yoga could be this beneficial to me, I wanted to integrate its philosophy and practice into my professional psychotherapy practice, as well as teach yoga to others. Teaching for Kula for Karma was one of my incentives to complete a yoga teacher training program. "A new challenge developed when I was diagnosed with osteoporosis. I discovered Dr. Loren Fishman and Ellen Saltonstall, who together modified yoga practice to be safe and helpful with bone diseases. Once again, yoga is helping me deal physically and emotionally with the aging process. "My first experience teaching for Kula was at Englewood Hospital with triple negative breast cancer survivors. For the last several years, Laura Eisdorfer and I have co-taught a gentle chair class on an inpatient psychiatric unit at Hackensack Medical Center. It has been a gift to share the class with her. We learn from each other and enjoy the challenge of leading a group that changes every week. "Frequently, at the beginning of a class, I wonder how I are going to "do yoga" with this disturbed population, all of whom are on major medications. Many are also seriously physically limited, and don't appear to be engaged at all. However, by the end of class, I'm amazed by how many patients respond to our yoga class with appreciation, even if it is not much more than breathing and the most gentle movements. I am grateful for the opportunity to teach for Kula, and to be part of the larger Kula for Karma community." Thank you, Sue, for your generous heart and warm presence. We are so grateful for all you do! Our Teacher of the Month for April 2018 is Rosemarie Monaco. Rosemarie is a 500-hour Registered Yoga Teacher. 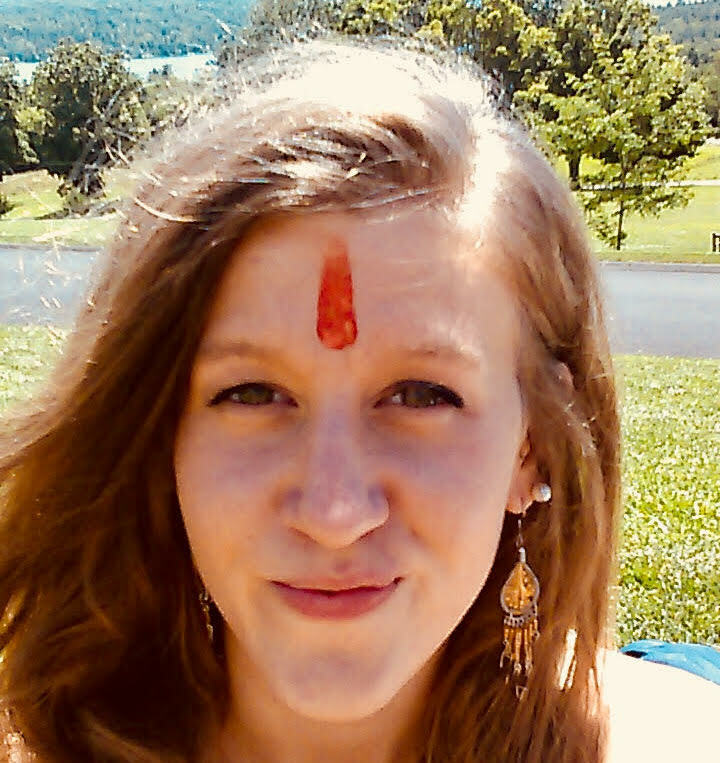 She is also certified to teach Restorative Yoga, Gentle Yoga and has trained with Charlotte Stone through Kula for Karma to teach adult oncology patients. She is a student of Sanskrit and has studied Yoga Therapy. She has taught every level of yoga at two studios: Indian Rock Yoga in Suffern, NY and Birchwood Center in Nyack, NY. She began teaching cancer patients and mental-health patients for Kula for Karma in the summer of 2015. 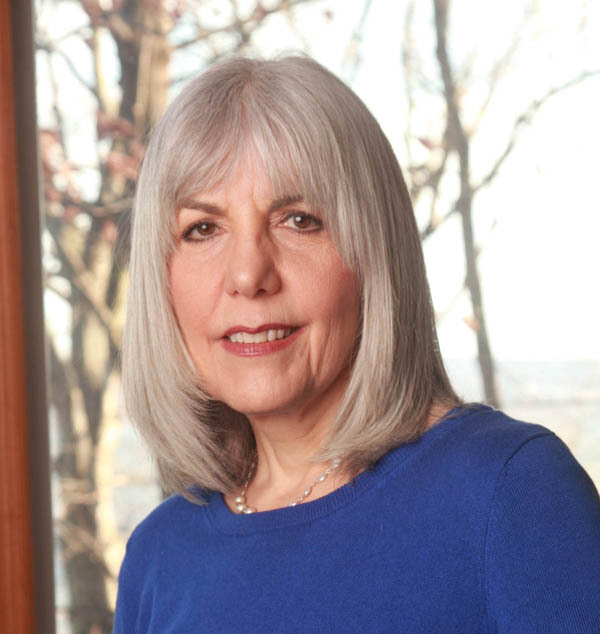 Rosemarie is also a professor of Communication Arts for St. Thomas Aquinas and Dominican Colleges in New York and a published author. Our Teacher of the Month for March is Megan Skelly. "My story with yoga is that it has saved my life. Since an early age, I have struggled with depression and anxiety, which led me into drug addiction and other self-destructive patterns as a teenager. During this time, a friend invited me to a yoga class at the local gym (and later on, yurt) led by a Kripalu instructor. Although I went infrequently at first, maybe every other week, there was something about the practice that stuck within my soul. As the years went on, I developed a deeper sadhana and my habits began to fall away, slowly but surely, as I began to heal. Eventually, this led me to pursue my teacher training at Kripalu (a word which I would come to learn means "compassion"), which was also my link to Kula for Karma. During one of our practice clinics there, I partnered with Carolyn Bryan, who worked for Kula at the time. She asked me what I hoped to do after receiving my certification; I told her that, more than anything, I wanted to give back and offer the incredible gift of these practices that had helped my own metamorphosis to populations that have the least access to them and could benefit from them deeply (especially within prisons and hospitals). As a result of that chance encounter, Carolyn introduced me to Kula for Karma, where I have been volunteering for about two years now. I teach biweekly classes to teenagers in the psychiatric units at Bellevue Hospital. I love my students dearly and they are some of my greatest teachers. Many of them suffer from some of the same conditions that first led me to a yogic practice, and I feel so blessed to be able to pass on the tools I have learned to them. It is not always easy: inpatient units are transient environments ridden with crisis and trauma, but I do my best to ensure that for the hour I have them every other week, my students feel seen, welcomed and supported through even the smallest touch (they love having lavender oil during relaxation!). Because many of them have left the inpatient unit by the next time I come to teach, it is truly an act of karma yoga in that I can only plant the seed and am usually not there to witness the blossoming of their practices down the line. One of my personal favorite moments during this work was when I had a student (who had seemed disinterested during our first class together) approach me two weeks later to tell me that she had been practicing Nadi Shodhana (Alternate Nostril Breathing) in her room at the hospital every day. I am so humbled to be part of this mission in my own small way, and forever grateful to Kula for Karma for the opportunity to witness the light of awareness and peace spreading through their continual service." Thank you, Megan, for your incredible dedication in bringing the healing effects of yoga and meditation to a population so much in need. You are amazing!